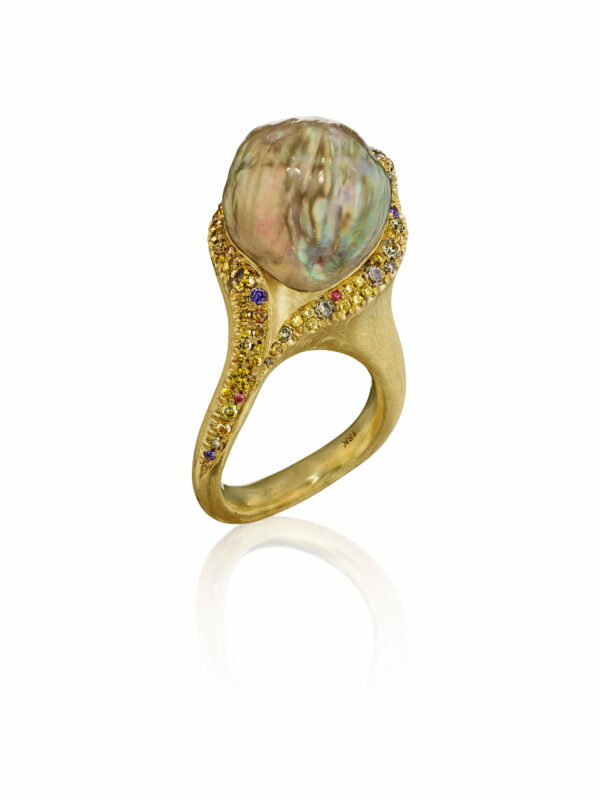 Natural Color Green Pearl Ring set in 18K Yellow Gold, surrounded with Natural Color Olive Green Diamonds and Sapphires. 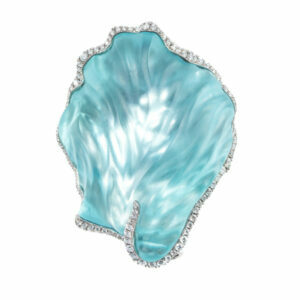 This pearl is a Chinese Freshwater Pearl with highly unusual color, texture and luster. Uniquely one of a kind. 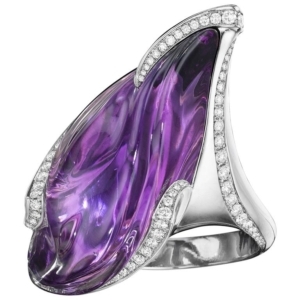 The ring is designed to sit between the fingers, off to the side for comfort. Naomi Sarna’s Signature Moire finish beautifully contrasts against the luster of the pearl. 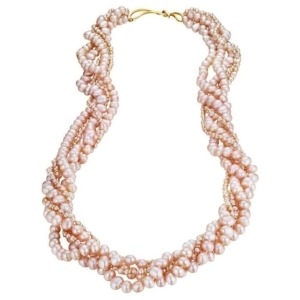 The pearl itself measures approximately 15mm.